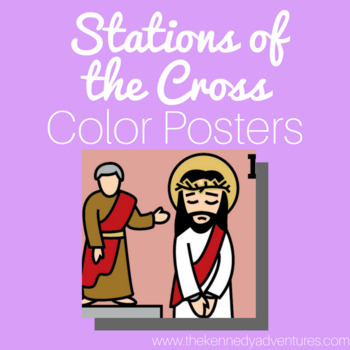 Stations of the Cross Coloring Pages and Posters - The Kennedy Adventures! 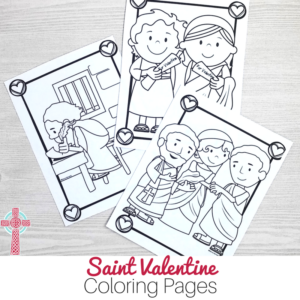 These Stations of the Cross Coloring Pages and Color Posters are the perfect introduction to the Stations of the Cross devotion for Catholic children. For the coloring pages, simply print these out on printer paper. 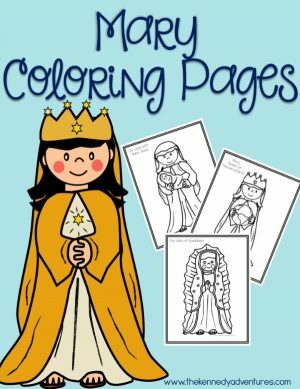 While your students are busy coloring the pages, you can use this opportunity for discussion. For the Stations of the Cross Color Posters, print on cardstock and laminate for extra durability. You can use the color Stations of the Cross posters to set up your own Stations of the Cross devotion time in your home, classroom, co-op, or religious education program. 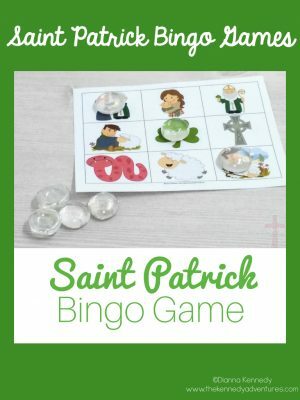 It’s the perfect way to introduce children to the Stations of the Cross without worrying about wiggly kids in the sanctuary. 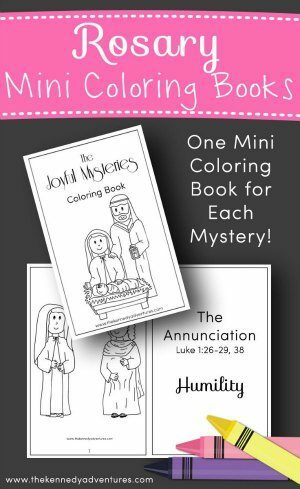 These are an amazing tool for children in a Catholic homeschool, Catholic classroom, co-op, or Catholic religious education program. 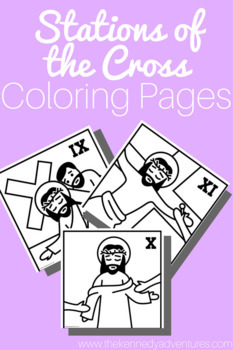 15 printable black and white coloring pages depicting the 14 Stations of the Cross and The Resurrection. 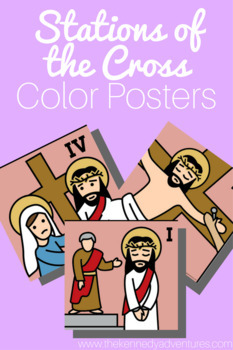 15 printable Color Posters (8.5×11) depicting the 14 Stations of the Cross and The Resurrection.